I am one half of a two part Telegramme. Living in an Old Peanut Factory in Hackney Wick and working at Telegramme Studios. Just finished aanouther poster for the lovely peope at the Barfly and BSM. This show is gonna destroy. 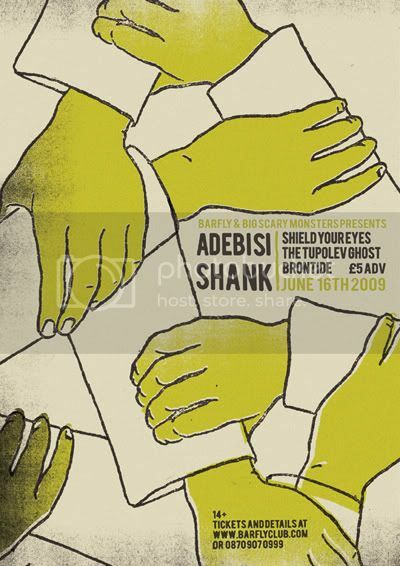 I heard Adebisi SHank Last week and they blew my socks clean off. Working on Some killer posters and projects this week. I feel very lucky! so much love....very tired sleepy love.